New Delhi : Elephant deaths on railway tracks may be averted when a sensor built by a professor at the Indian Institute of Technology-Delhi (IIT-D) is put to test. If all goes well, it may be installed along the tracks frequented by elephants and prevent their cruel deaths. “The sensors are yet to be installed. This was to be tested in the monsoon season. Since this monsoon has passed, we are waiting for the 2019 season. Our system is functional. We have tested in a similar setting but not at the site. We have earmarked the Rajaji National Park as the test deployment site. It is the ideal place, kind of a controlled environment and good for experiments. 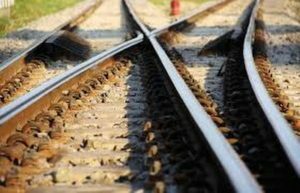 It’s where trains are known to travel at the correct speed,” Subrat Kar, a professor at the department of electrical engineering at IIT-Delhi, told IANS. 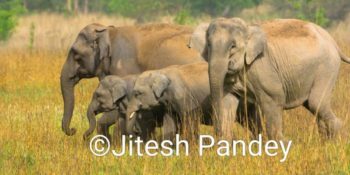 According to the Wildlife Protection Society of India, in last five years alone India has lost near 100 elephants in train-related accidents. Moving at a slow pace, complete with their calves, they fail to respond fast enough to avoid a train hurtling towards them. 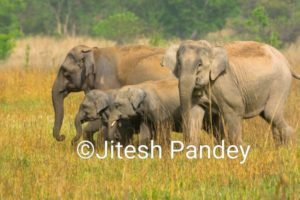 In 2018, 26 elephants have so far succumbed to such collisions, the most recent being in Odisha’s Keonjhar where an elephant was killed after being hit by a goods train. 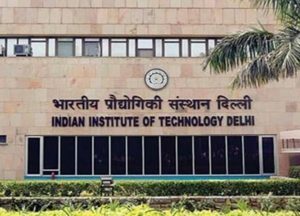 So far Kar has tested the sensor only inside the IIT-Delhi campus and the results have been “satisfactory”. The sensor detects from a distance the movement of elephants through a number of in-built devices. Once it detects the movement of the elephants, it sends a radio signal to the nearest station, which conveys the message to the driver to either stop or slow down the train. “We will install sensors at sensitive spots, and not everywhere. There are known paths along which the elephants move, so we install sensors on these paths, which detect them through bodyrays, cameras and vibration. Then we convey the information to the nearest station and from there we convey the information to the train driver. “In the engine there’s a box that signals the engine to stop. If this warning is given to the driver at least three kilometres before the train reaches the spot where elephants are expected to come in their way, he applies the breaks and slowly comes to a halt,” Kar explained. “The success of this preventive measure depends on detecting the elephants much before the train is there. Three kilometres before roughly translates to 3-4 minutes before,” he added. The various sensors in the device corroborate whether the moving animals are indeed elephants and not any other, like a tiger, which can cross the track without needing the train to be slowed down. “A vibration detector, capturing heat rays coming from the animals, a camera to recognise the animals, and lasers — the sensor has these all. So we have several sensors to detect the presence of animals. 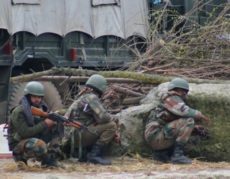 We use one sensor to check the outcome of the other sensor to corroborate the result… We have our own radio network with the sensors,” Kar said. Although Kar has been working on the device since 2008, things picked up pace only in 2014 when the Railways came up with Rs 30 lakh in funding. On its part, the Railways have employed a variety of methods to keep the elephant deaths in check. “Various measures have been adopted, jointly by the Railways and the forest department, to prevent elephant deaths on the tracks. These include signage on the tracks to pre-warn train drivers, speed restrictions in elephant corridors and deputing forest officials in the control room,” a senior Railways official told IANS. “All these measures are adopted at locations jointly identified by the forest department and railways in Assam, West Bengal, Uttarakhand, Kerala and Odisha,” the official added.